If you’ve played the original Risk of Rain title, you should be aware of most of the game mechanics and objectives. 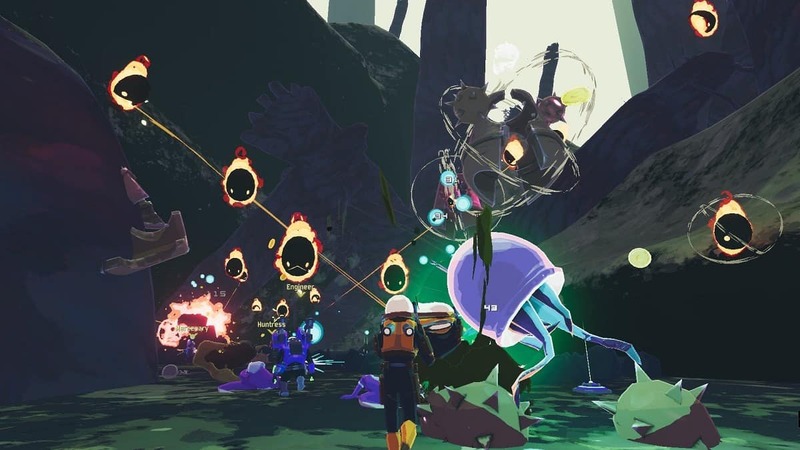 In Risk of Rain 2, however, you’ll experience the same game in a 3D perspective which might throw you off a bit at first. 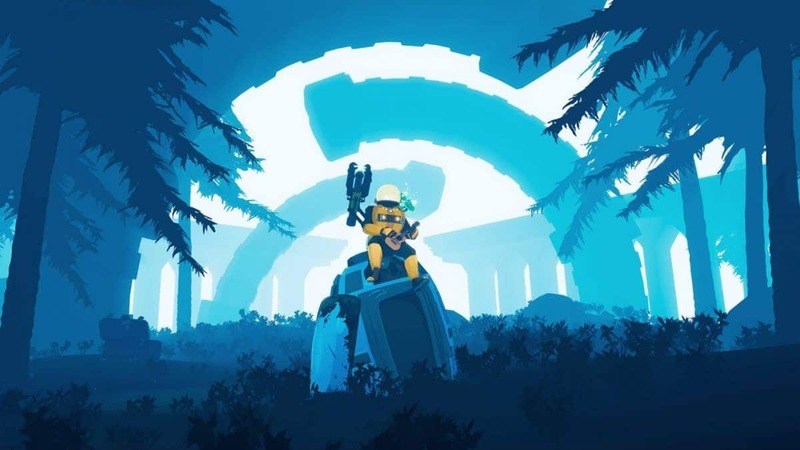 Our Risk of Rain 2 Beginners Tips Guide outlines the features for the beginners as well as for returning players who might’ve forgotten their previous experience. The general controls are the same as any typical shooter game. The movement keys are WSAD, the interaction key is E, right/left clicks are to shoot, and the rest of the controls are displayed at the bottom-right corner. Another feature that is often neglected by the new players is the Ping System. This is becoming popular in the new shooters which is a great alternative to communication. You can ping items or locations by pressing MMB. 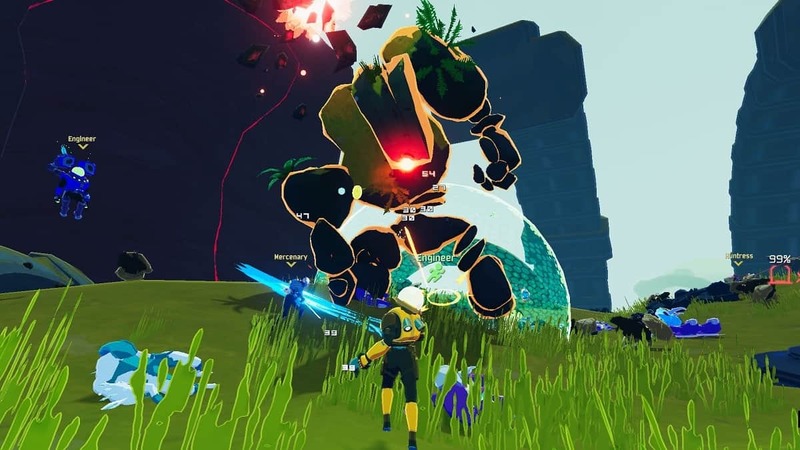 Risk of Rain 2 is basically an endless survival game. Your objective is to find portals/teleporters that lead you to the next level. 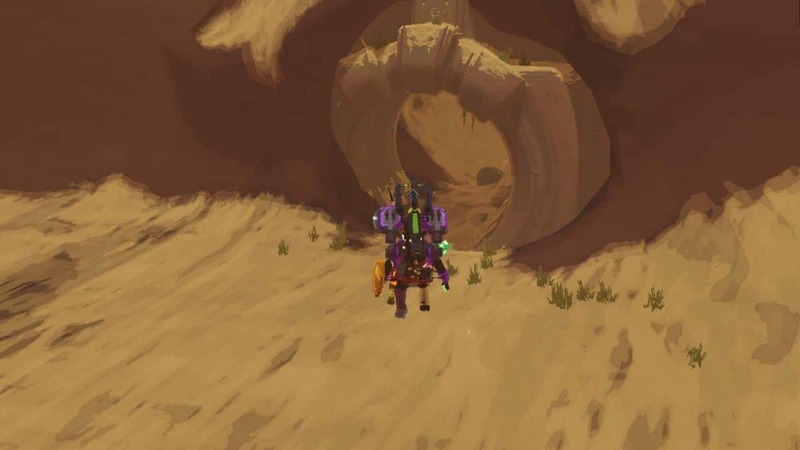 If you go through enough portals, you’ll eventually be led back to the first level you spawned in and the cycle repeats. However, the journey gets harder and harder as you go through more portals progressively. This might be an even tougher challenge for a lone wolf, however, lucky for you that you drop in with three others, work together, and keep yourselves alive for as long as you can. To start, first, choose a character before you enter the game. You won’t have much to choose from at first, as the only available choice will be the Commando. You can check out our Character Unlocks Guide for more info. on how to unlock remaining survivors. Familiarize yourself with your character by reading the skills’ description and a general overview of the character. After you have chosen a character, you and your team will be dropped into the first level (depending on which mode you choose because there is a singleplayer mode too). The portal is easy to locate. It’s basically an altar that has two curved horns on each side with a pillar holding a bowl at the center. Initially, you can split up from your squad to locate the portal separately to speed things up. 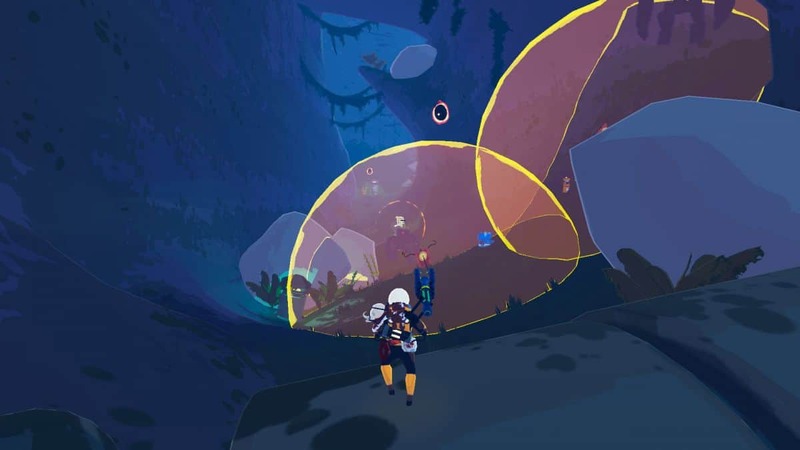 Going through the level, you’ll also come across many objects that you can interact with that may be beneficial for you. 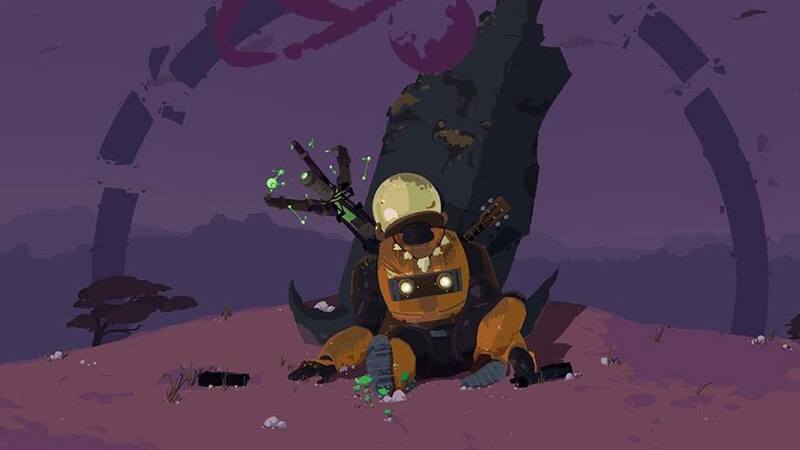 Some of them include a turret that stays in one place and takes down enemies around it, a medical robot that floats over you to heal you and chests that drop items for you. There are also a variety of items dropped by the chest. When you locate a portal, you can use Mouse 3 to ping it. At that point, clear out the area and wait for your teammates to regroup at the portal. Buying turrets near the portal can also prove to be helpful. Once you’ve regrouped, you can activate the portal that will summon the main boss in the area. Damage and kill enemies near the portal to fill up the portal. 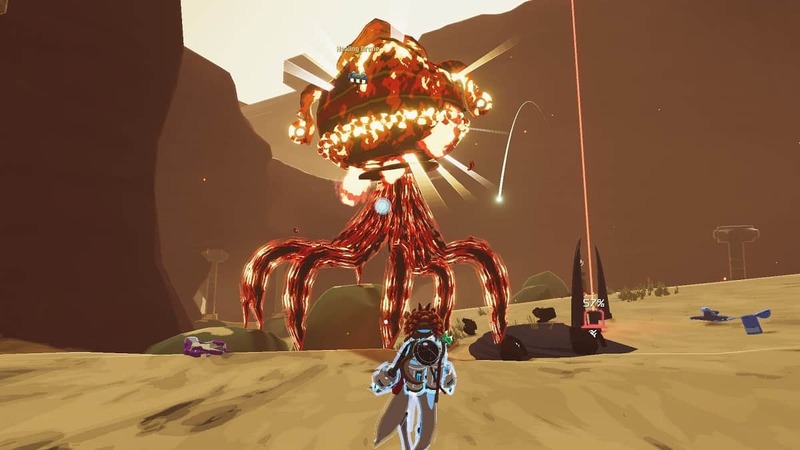 Kill enough enemies, fill the portal, and interact with it to get to the next level. While in search of the portal, you’ll face enemies so make sure to use your character’s abilities to survive. As a beginner, the only choice is the Commando so I’ll explain his abilities. The 3 offensive tools are your right click, left click, and R. For a majority of the time, you should be spamming LMB and RMB because LMB can be used indefinitely and RMB has a super-fast cooldown. Both of these are used to damage enemies. RMB is more powerful and can go through enemies, damaging multiple enemies in a straight line. As for the R, which is the character’s special ability, you should use it on bigger targets because the cooldown on it is much longer. In addition to dishing out the damage this way, you should also be avoiding the enemy attacks. Typically, most of the enemies shoot at you and so lateral movement such as strafing right and left will let you avoid most of their bullets. Some of the enemies will rush you with their melee attacks that you can dodge by pressing the ‘Shift’ key or by running away. Throughout the game, you’ll be collecting coins and using them to buy new items and gears available inside a level. You may occasionally come across a shop at certain levels too. Aside from that, you’ll also be leveling up by killing enemies. The Leveling Gauge is just above the HP Gauge on the bottom-left corner. For each level up, your HP pool increases. Time is also indicated on the right-top corner. As time progresses, the difficulty keeps getting more amped up which is displayed just below the timer. Ideally, it is best not to waste time on each level, as each level becomes crueler as you spend more time on it.